A Southern Life in Scandalous Times: "Lake Runs Red" To Release Trailer No. 2 On August 11th! 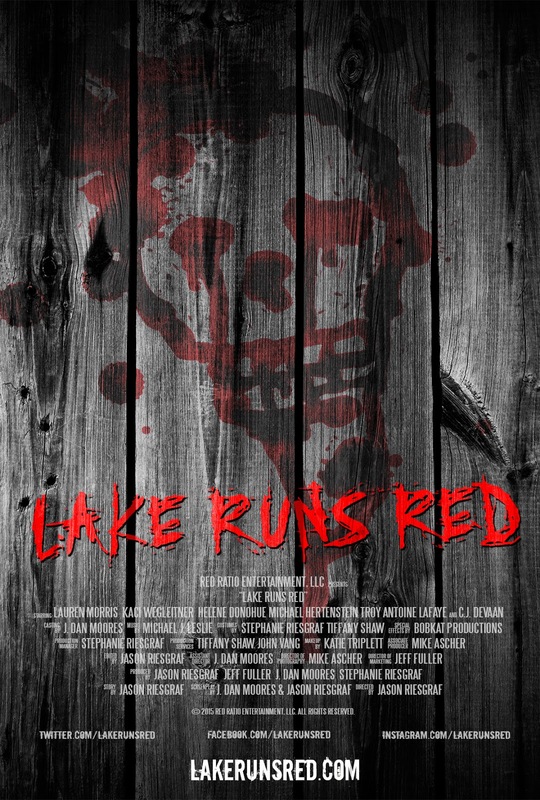 "Lake Runs Red" To Release Trailer No. 2 On August 11th! 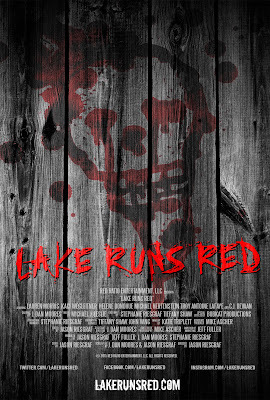 INDIE HORROR “LAKE RUNS RED” TO RELEASE 2ND OFFICIAL TRAILER ON AUGUST 11TH! trailer on Tuesday August 11th, 2015, via YouTube.com/LakeRunsRed. This 2nd official trailer focuses on "Gwen," the film's dispassionate and pretentious mother with a dark, mysterious past. The multi-talented and indomitable Helene Donohue, an experienced actress and singer, plays "Gwen" in a supporting role. "Lake Runs Red" is employing a unique trailer strategy for their marketing campaign. Instead of releasing a standard two minute trailer, the film is instead releasing five character trailers, each focusing on one of the main characters from the film. This is the 2nd official trailer in a series of five, the remaining three will be released over the balance of the Autumn months. "There's quite a bit of mystery surrounding the "Gwen" character and her unusual behavior in our story," said director and co-writer Jason Riesgraf. He continued, "We needed an actress with a powerful and experienced presence to pull off this nuanced and pivotal role. Helene Donohue certainly delivered the required intensity in her performance. I'm incredibly pleased with how her scenes turned out." Added Stephanie Riesgraf, producer and unit production manager, "The Gwen trailer was the #1 favorite (of the five trailers) as voted by our cast and crew. It definitely packs a punch. We're beyond thrilled to be launching this particular vignette." Today, Red Ratio Entertainment also publicly announced a new release time frame for "Lake Runs Red." The film, currently in post-production, has been rescheduled to debut in 2016 to accommodate a higher volume of film festivals. "Lake Runs Red" previously released their first official trailer, entitled "Bruce", on July 14th, 2015 to incredible fanfare. For more information please visit LakeRunsRed.com and connect with us on Twitter @LakeRunsRed. DVD Release Details For "Eaters"
DVD Release Details For "A Plague So Pleasant"
Trailer Released For "The Last Witch Hunter"
Teaser Trailer Released For "Cherry Tree"
My Review Of "Blood Moon"
Release Date Set For "Blood Moon"
My Review Of "Grim Reapers"